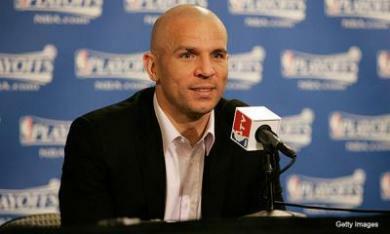 Jason Kidd is right back in the NBA following his retirement as a player. The only thing different about this time around is that Jason Kidd will be a head coach. The Brooklyn Nets today have informed Brian Shaw that he will not be the coach of the team, while letting Jason Kidd know that he will in fact have his first coaching job. Kidd has no coaching experience, but he made a good enough case to Nets ownership that he is ready to take the helm of an NBA franchise. One of the main reasons for this hiring is Kidd’s relationship with Nets’ point guard Deron Williams. Kidd has been a mentor to Williams and if Williams is playing his best ball than the Nets’ belief is that they’re a better team. Joining Kidd on the bench is Lawrence Frank, Frank was the head coach of the Detroit Pistons last season. Frank’s role as an assistant coach will be to aid Kidd in the transition to coach.